1. Describe the impact of the respiratory system on feeding and swallowing. 2. Describe the impact of the gastrointestinal system on feeding and swallowing. 3. Describe the impact of the musculoskeletal system on feeding and swallowing. 4. Describe the importance of nutrition and medication on feeding and swallowing. AOTA Domain of OT Category 1, Texas CE Type 2, NBCOT PDUs, CABOT Advanced Practice in Swallowing APP-S39, approved by the New York State PT Board, California PT Board, Illinois PT Board. For other State PT Board approvals click on CEU Course Approvals on the CEU Course Listing Page.. CLINICIAN'S VIEW HAS TERMINATED ITS RELATIONSHIP WITH ASHA AS AN ASHA CEU PROVIDER. 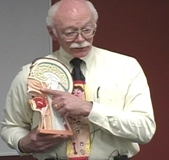 THIS COURSE NO LONGER CARRIES ASHA CEUS. PLEASE NOTE THAT ASHA APPROVED CEU COURSES ARE NOT A REQUIREMENT FOR STATE SPEECH THERAPY LICENSE RENEWAL, AND ARE NOT EXCLUSIVELY REQUIRED TO MAINTAIN CCC CREDENTIALS. SPEECH THERAPISTS SHOULD CHECK WITH THEIR STATE BOARD FOR SPECIFIC STATE LICENSE REQUIREMENTS, AND ASHA FOR CCC RENEWAL GUIDLINES.